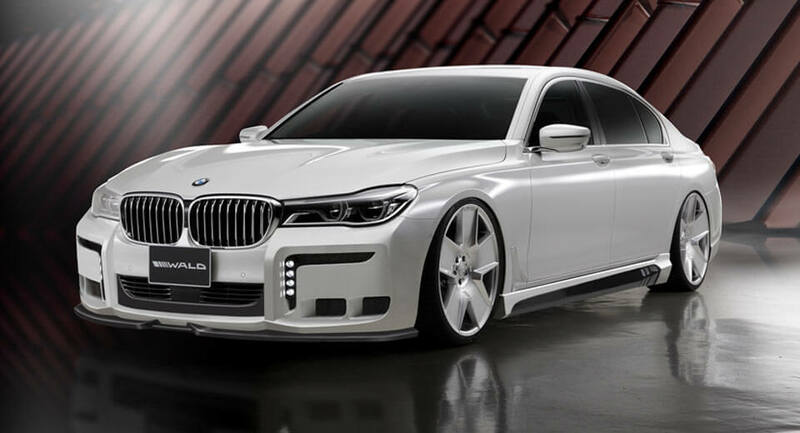 The BMW 7-Series normally oozes sophisticated style, but if you’re looking for something different, Japanese tuner Wald International can certainly deliver. 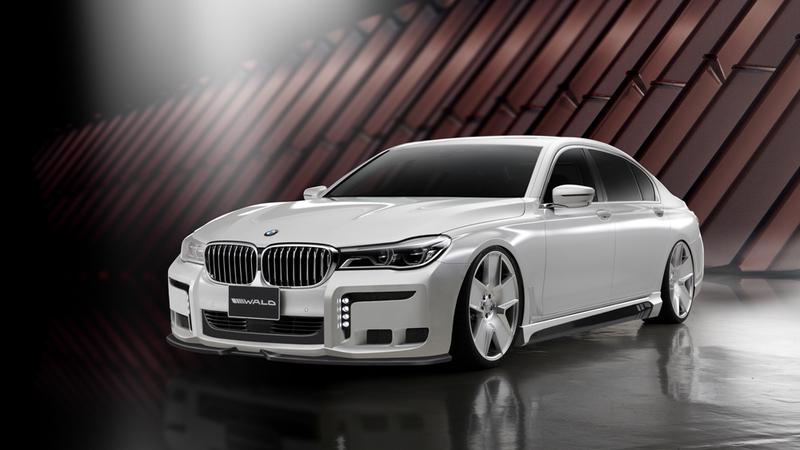 The company has just unveiled its ‘Black Bison Edition’ of the latest-generation 7-Series and while Wald seems rather proud of its creation, we think other people might feel different about it. At the front, the luxury sedan has been outfitted with a bespoke bumper that includes small faux air intakes, vertical daytime running lights, and a subtle chin spoiler. As for the sides, they feature five-spoke white wheels and bespoke skirts. Completing the transformation is a new rear bumper with an over-the-top diffuser and quad tailpipes. Oh, and the car also sits closer to the road. 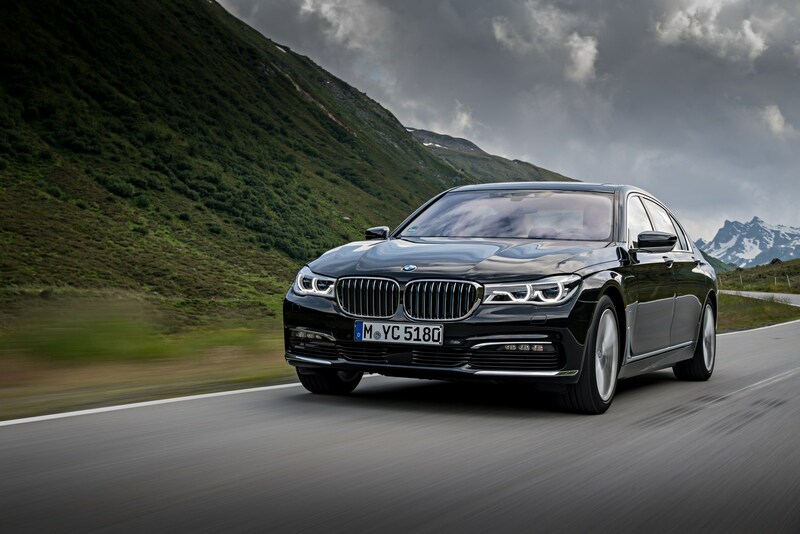 In certain parts of the world, buying into either the Mercedes-Benz S-Class range, or the BMW 7-Series range, means opting for a base diesel version. In both cases, you’d be looking at 3.0-liter inline-six engines, producing 265 PS (261 HP) and 620 Nm (457 lb-ft) of torque in favor of the 7-Series, and 286 PS (282 HP) and 600 Nm (442 lb-ft) of torque in favor of the S-Class. 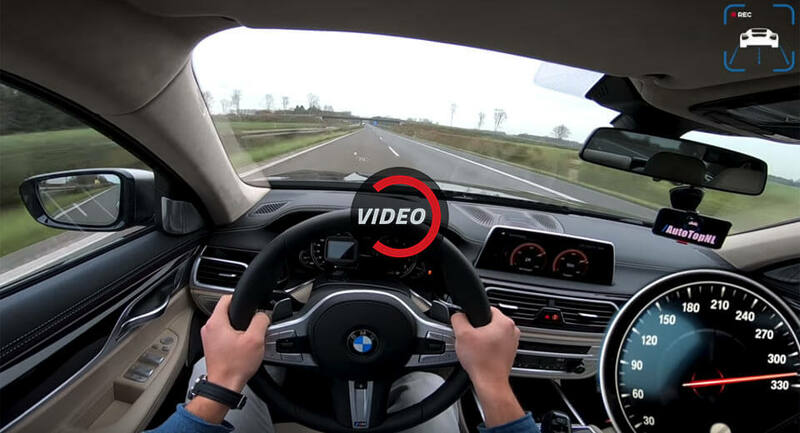 According to AutoTopNL, this race is between a 730d that gets from 0 to 100 km/h (62 mph) in 6.1 seconds and an S350d that needs just 5.8 seconds, which means it’s actually the 4MATIC version. 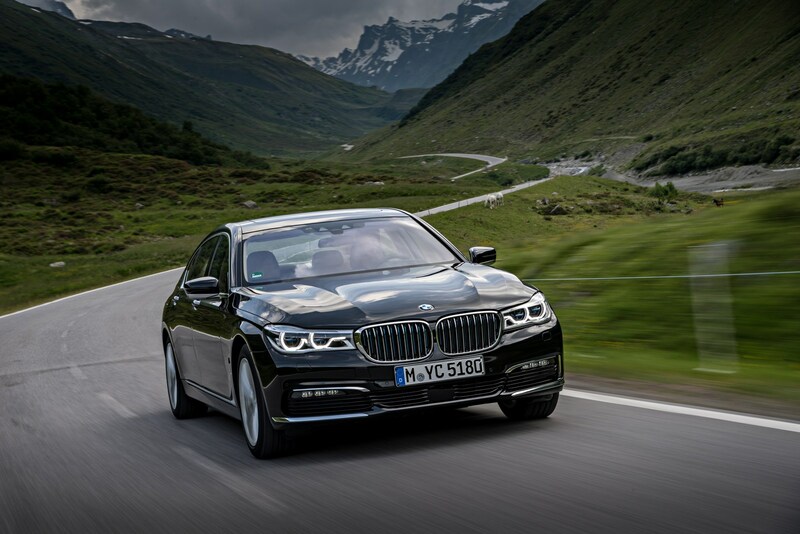 Either way, the BMW 730d is the lighter car here, regardless of whether or not the S350d is wearing its heavy, yet useful all-wheel drive suit. Now, while there are slight differences to observe, you’ll find that these two models are remarkably similar when it comes to accelerating in a straight line. So whichever one you may be driving, we reckon it should handle various workloads just as well as its rival. 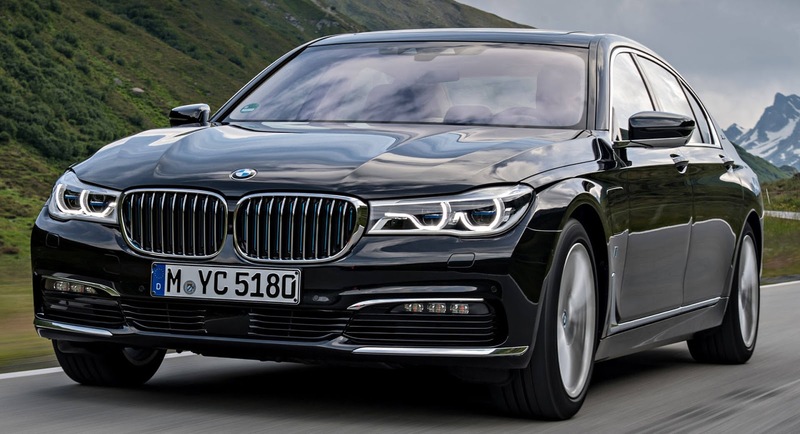 Let’s say you’re about to spend a whole lot of money on BMW’s M760Li flagship and you’re now faced with having to choose its color, in which case something from BMW Individual’s palette tickle your fancy. Abu Dhabi Motors is aware that some customers might want to skip the classic, but a bit boring, black, silver or white paintjobs for something a bit more colorful, so they held a photo shoot for all these different Bimmers in a variety of shades. Some of them are San Marino Blue, Twilight Purple, Rallye Green, Chestnut Bronze, Estoril Blue, Imola Red and Austin Yellow. We’ve also added a Long Beach Blue example that previously spotted at the Abu Dhabi dealership. Anyway, whatever color one might prefer, the M760Li is BMW’s fastest-accelerating saloon after the M5 thanks to its 6.6-liter twin turbo V12 that’s good for 600 PS (592 HP) and 800 Nm (590 lb-ft) of torque. Say hello to Abu Dhabi Motors, a place you’re probably familiar with thanks to all the BMW Individual cars and M models that are being showcased in their theater on a regular basis. During a recent visit to the UAE, YouTuber Shmee150 stopped by the famed BMW dealer to not just check out some of the rides on display, but also drive BMW’s flagship, the M760Li. In case you didn’t already know, Abu Dhabi Motors houses both BMW as well as Rolls-Royce cars, and if you’ve been paying attention, you’ll recognize a lot of models we’ve previously shown, like that green Alpina B4 S or the Rolls- Royce Dawn Inspired by Fashion. We’re also given a better look at the theater section of the showroom, which is an actual theater and wasn’t just made to look like one. So you can go there and watch whatever car that’s on display, or actually watch something on the projector screen. 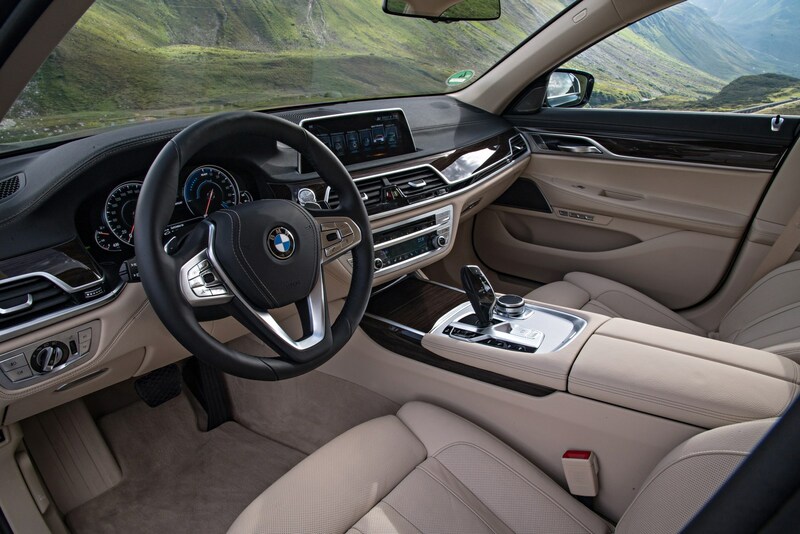 As for his ride behind the wheel of the M760Li, Shmee praised the car for its torque and effortless way of accelerating, saying it’s perfect for a high-speed Autobahn run. 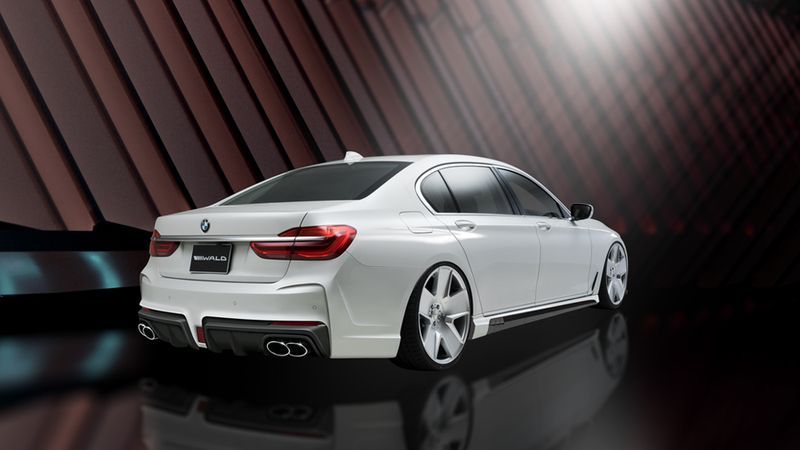 The M760Li is powered by a 6.6-liter V12, producing 610 PS (603 HP) and 800 Nm (590 lb-ft) of torque. While the third-generation BMW E38 7-Series was, at its time, a commercial success, the 750i XL L7 that was produced in just 899 examples is a very rare sighting. According to the ad, found on German website Mobile.de, the car has just 19,800 km (12,303 miles) on the clock and is in really good condition, with the asking price set at €22,500, the equivalent of around $26,500 at today’s exchange rate. 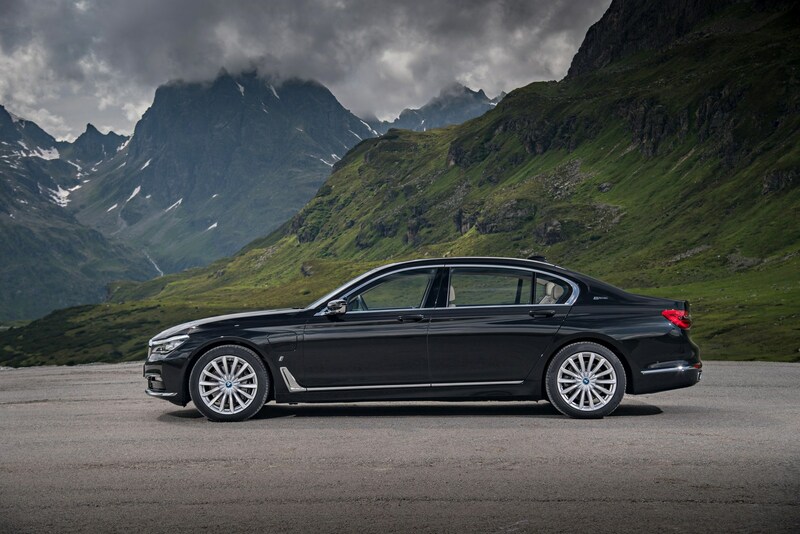 Among its many features we count the 20″ Alpina alloys, the chrome exterior and interior elements, the sunroof, sun blinds, comfort front seats, electric comfort rear seats, CD player, multifunction steering wheel, sat-nav system and cruise control. Even though the leather inside looks a bit worn, the cabin does indeed appear to be in top condition, especially for a car that’s almost 17 years old. As for what lies under the hood of this Silver Metallic 750i XL, you’re looking at a 5.4-liter V12 that puts out 326 PS (321 HP) and 490 Nm (361 lb-ft) of torque, which are transmitted to the rear wheels via a 5-speed automatic gearbox. Thanks to Christian for the tip! 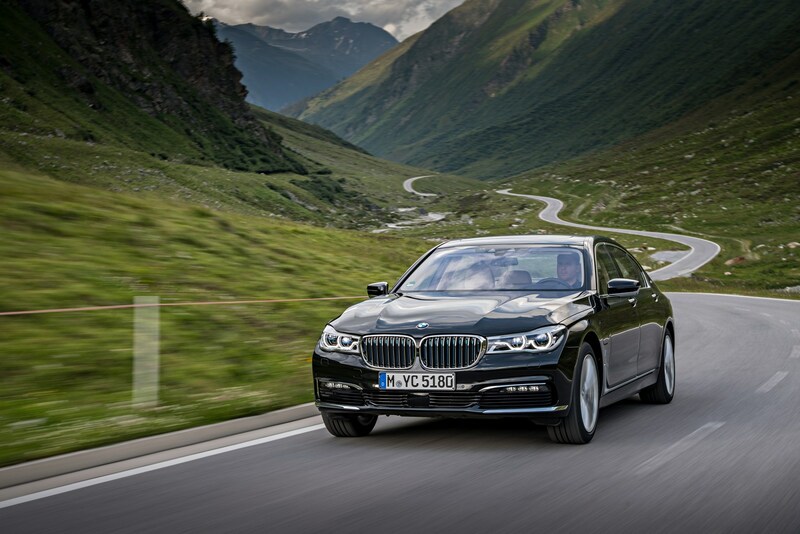 The Skoda Superb and BMW 7 Series are both fairly large European sedans, manufactured by German auto groups. That’s about where the similarities end, though – especially when the Bimmer in question is the top-of-the-line M760Li. The very pinnacle of BMW’s sedan lineup, the M760Li is the closest thing we’ve seen yet to a full-on M7, packing a 6.6-liter twin-turbo V12 that sends over 600 horsepower to all four wheels. The Superb 280 seen here is also the performance version of Skoda’s flagship sedan, albeit on a different plane entirely. Its engine is less than a third the size of the Bimmer’s, with a third the cylinders, half the turbochargers, and less than half the output. It’s also considerably less expensive than the BMW, but the big question is how the Skoda measures up. 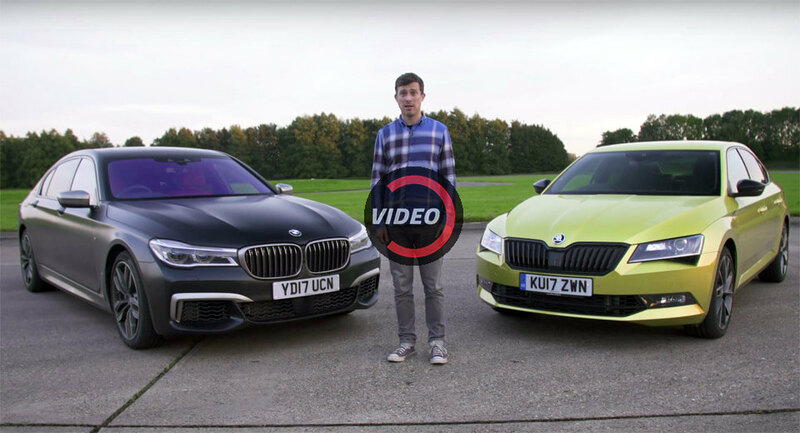 And that’s the question which the fellas at CarWow have set out to answer in this latest clip. You’re gonna have to watch for yourself to see what they found, though, so set aside six minutes and enjoy this improbable face-off. In some cases, color alone can make the difference between simply acknowledging a nice car, and one that – for whatever reason, you just can’t take your eyes off. You could say this car might qualify for the latter scenario. On display at BMW Abu Dhabi, this Imola Red M760Li has to be one of the most eye-catching examples we’ve ever seen when it comes to BMW’s flagship specific model – and we’ve seen quite a few this year. Besides the attention-grabbing red hue, other enhancements include the 3D Design body kit, M Performance trunk lid spoiler, carbon fiber mirror covers, dual tone M sport wheels and blue calipers. Inside, the red theme continues with red leather throughout, on not just the seats but also the lower dashboard, center console and door panels. You’ll also find a proper amount of black leather and some dark wood trim. 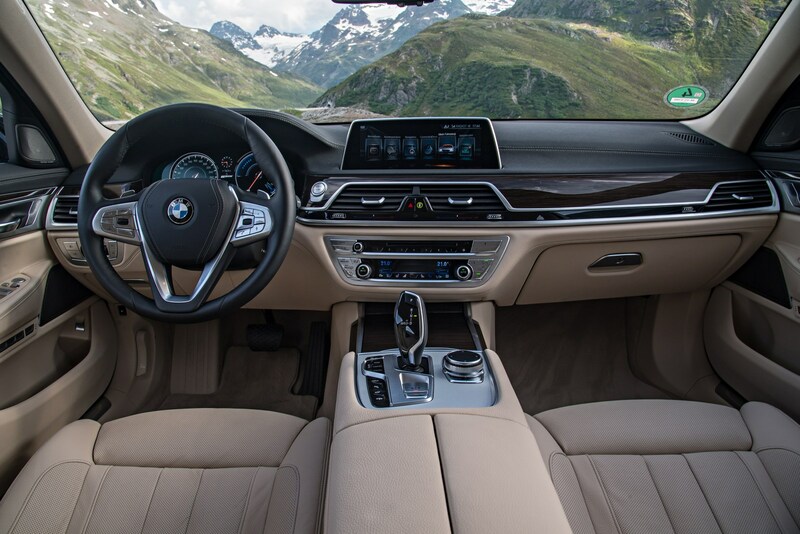 As for that V12 badge underneath the iDrive wheel, it’s there because the M760Li is powered by a 6.6-liter V12 unit, sending 610 PS (603 HP) to its rear wheels (unless it’s an xDrive model), along with 800 Nm (590 lb-ft) of torque.